Remembering passwords which some important applications enforce to be changed at least every three months can be a nuisance, sometimes resulting in people using ‘abcd1234’ for everything online. Creating and recalling effectively strong passwords for every website you visit can be a daunting task. Password managers are great tools since they don’t only eliminate the task of remembering your access details, but also usually type them in too. This article will explore 4 secure password applications, many with useful extra features available with the premium versions of the password managers. Free, secure login storage and generation – LastPass is renowned as the best password manager available. Two versions of LastPass exist: Free and Premium available on Windows, Mac, Linux, iOS and Android operating systems. Both versions come with unlimited storage for any number of account logins in a secure vault, protected by a master password. Online forms will complete automatically and can even employ multi-factor authentication. Premium edition offers extra features such as storing passwords for desktop programs, syncing across multiple devices, sharing secured folders with other contacts and generation of complex passwords which are then stored for you. 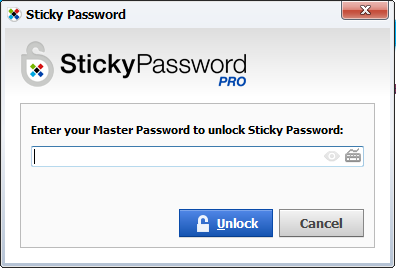 Excellent password management from the expert creators of AVG Antivirus. 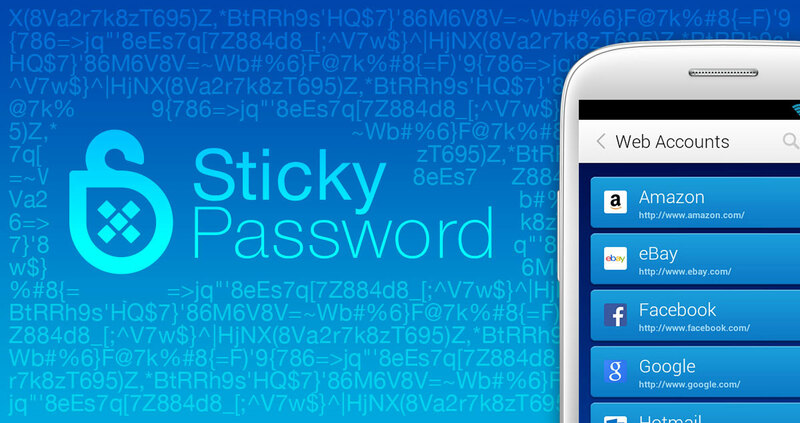 You can be rest assured that security is of top priority when the team behind AVG Antivirus developed StickyPassword. It comes in two versions: free and premium which adds a cloud syncing and backup feature for £19.99, available on Windows, iOS, Mac and Android platforms. Fingerprint authentication is supported on mobiles including Wi-Fi synchronization with local devices. Make your life easier with a Top Rated password manager that offers free mobile apps. Available for Windows, Mac, iOS and Android operating systems, RoboForm is a great application for people looking for simple and secure password synchronization between laptops, desktops and mobile devices. The free version only lets you store up to 10 logins and lacks some of the useful extra features offered by other programs. Should you need to store more passwords, the premium version can be purchased for $19.95 a year. Superb password security that supports all web browsers and devices. Considered the closest rival to LastPass, Dashlane is exceptionally easy to use with strong password security and the ability to store notes for future reference. The application supports Windows with browser plugins and mobile versions available. Premium versions come with unlimited syncing and sharing. Dashlane premium costs $3.33 billed annually but the free version offers essential features such as autofill and digital wallet features, which work flawlessly. Based on a variety of technologies, Two-Factor authentication (2FA) most prominently employs one time passwords (OTPs) and Public Key infrastructure to protect your identity and data with a strong authentication process. One time passwords are simply a form of symmetric token match between two servers, generated at the same time. If the tokens are different, access to a user program or web application is denied. Public key authentication on the other hand, uses an asymmetric pair of private and public encryption keys to grant users access to their web applications. An overview of 3 well-known applications you can use to secure important web applications will be discussed in the section below. Popular web applications such as PayPal, eBay, Google, Amazon, WordPress among others offer 2FA which can be activated in their advanced security settings menu. A mobile application that uses Time-based One-time Password Algorithm (TOTP) and HMAC- based One-time Password Algorithm (HOTP) for authenticating users. Google Authenticator really stands out with a feature that doesn’t require internet access or cellular connectivity to authenticate a user, essentially in airplane mode. The application holds multiple accounts in one place using the same mobile number to receive your 2FA code. It has a simple application interface which works with older versions of Android operating system. Installation file is only 2MB in size, so it works easily on all devices. This application enables users to secure their transactions and logins by self-enrolling and authenticating with their smart phones. Duo Push saves you time from copying numbers with an out-of-band authentication process that prevents remote hackers from stealing your password. The app sends an authorization request directly to the application running on your smartphone, with two push notifications to Approve or Deny authentication. Duo 2FA can integrate into websites, Cloud Services and VPNs available on iPhones, Androids, Windows, Blackberries and personal computers. Platform Edition of the software offers advanced analytics with Endpoint security that can flag any out-of-date device software posing a possible security risk. Authy offers 3 different authentication options: Authy OneCode, Authy OneTouch and Authy SoftToken to grant access to any user on iPhones, Android and desktops. Authy takes the crown for the best 2FA application for desktops with Linux, Mac, Windows, Android and even Apple watch supported. Security codes generated by the application can be sent directly as a token to the desktop without the need for a smartphone. Your accounts can be synced and backed up to the Cloud, saving you time from manually adding them to each device and browser. In the event your phone gets stolen, you have the ability to remove the lost phone from the devices’ list directly from the desktop application. This feature stops any unauthorized user of the smartphone from gaining access to any of your accounts.